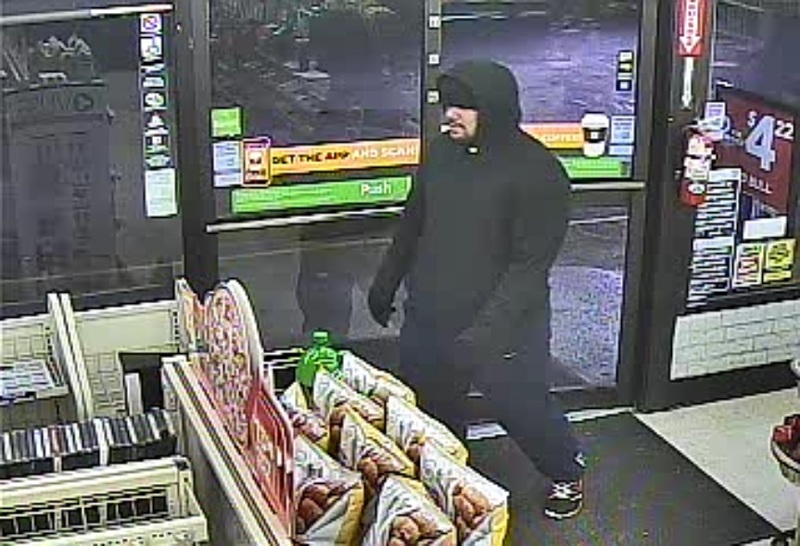 KPD Investigates Weekend Robberies, Can You Identify The Suspect? Killeen Police are investigating several weekend Robberies. Officer responded to an Aggravated Robbery on Saturday, January 24th at 10:32pm, at the KBS Food Mart located at 3000 old FM 440. The suspect entered the store and demanded money. At some point a shot was fired then the suspect fled on foot. No one was injured during this robbery. Officers again responded to an Aggravated Robbery on Saturday, January 24th at 11:33pm, at the 7-11 Convenience Store located at 1000 S.W.S. Young Dr. The suspect entered the store, demanded money and fled on foot. On Sunday, January 25th, at 10:04pm, officers responded to an Aggravated Robbery at the Star Mart located at 1310 W. Stan Schlueter loop. The suspect entered the store, demanded money and fled on foot. Officers responded to an Aggravated Robbery on Sunday, January 25th at 11:35pm, at the Super Quick Food Mart located at 3101 W. Stan Schlueter loop. The suspect entered the store and demanded money then fled on foot. During all of these robberies, the suspect was wearing all dark clothing. During the investigation it has been determined that the same suspect is responsible for all four robberies. Detectives are asking anyone who can identify the suspect or has information about these robberies to contact Crime Stoppers at 254-526-TIPS (8477) or go online anonymously at www.bellcountycrimestoppers.com or text BELLCO along with your tip to 274637. Text HELP to 274637 for help with the text or text STOP to 274637 to stop the tip. If your tip leads to the arrest of the suspect responsible for this crime you could be eligible for a cash reward. All information is confidential and your can remain anonymous. Just after midnight, on January 19, 2015, the Del Rio Police Department located a man with a with a self inflicted gunshot wound sitting in his vehicle in a McDonalds parking lot. Upon learning who this male was, the Del Rio Police Department contacted the Killeen Police Department and confirmed this man was the suspect in the murder of Christina Yvette McDaniel on Saturday, January 17, 2015. The male, 39 year old Franklin Rafael Aguilar of Killeen, was transported to the Val Verde Regional Medical Center, where he died from his injuries. This murder occurred on Saturday, January 17, 2015, at 4008 Stallion Drive when Christina and Franklin were involved in an argument and he shot her multiple times; Franklin immediately fled the area. Killeen Police are investigating a late Saturday night shooting on Stallion Drive. Officers responded to the 4000 block of Stallion Drive at 11:45pm, on Saturday, January 17, 2015, after receiving numerous 911 calls of shots being fired. Upon the officers’ arrival they located a female lying on the ground suffering from multiple gunshot wounds; she was unconscious and not breathing. The Killeen Fire Department EMS arrived and placed her into the ambulance but was unable to resuscitate her. Justice of the Peace Bill Cooke arrived and pronounced the victim deceased at the scene at 12:26am; he ordered an autopsy to be performed at the Southwestern Institute of Forensic Sciences in Dallas. The preliminary information that was received by officers revealed that the victim had come to 4008 Stallion with the female who resides there. There was an argument between the female resident and a male that was at the residence. The male then went outside and began arguing with the victim; at some point the male displayed a handgun and shot the victim multiple times. He fled the area immediately after the altercation. The victim has been identified as 31 year old Christina Yvette McDaniel of Killeen. The name of the male has been withheld at this time due to the ongoing investigation. Killeen Police are investigating a Robbery in the 800 block of W. Rancier Ave.
Officers responded to a 911 call on Thursday, January 15, 2015 at 10:35am, telling them of a Robbery that had just occurred at the Boost Mobile located at 810 W. Rancier Ave. Upon the officers arrival they were told that a black male entered the store and inquired about purchasing a cell phone. The employee and the suspect exchanged a few words when the suspect displayed a handgun and demanded money. The suspect stole an undisclosed amount of money and fled the store on foot southbound from the area. The suspect is described as a dark skinned black male with a goatee, about 6’2” tall, wearing a blue shirt, blue jeans and a blue beanie with white stripes. The Killeen Police Department Traffic Section is investigating a one car rollover crash on East Central Texas Expressway just before 8:00am this morning. Officers responded to a report of a crash at 7:46am in the 5200 block of E. Central Texas Expressway, involving a Blue Dodge Durango that had turned over and pinned the driver inside. Upon their arrival, the officers located the vehicle upside down on Central Texas Expressway in the construction area near the bridge that was under construction. The preliminary investigation revealed the driver was traveling east in the outside lane of Central Texas Expressway when the vehicle hit a construction barrel then continued east hitting a concrete barrier. The vehicle then crossed two lanes of traffic to the north leaving the roadway onto the dirt area and hitting the concrete bridge wall causing the vehicle to overturn pinning the driver inside. The Killeen Fire Department responded and was able to free the driver from the vehicle. The 38 year old driver was airlifted to the Baylor Scott & White Hospital in critical condition. There were no other vehicles involved in this crash and the driver was the only occupant of the Dodge Durango. Alcohol is believed to be contributing factor in this crash. The Killeen Police Department will be hosting its 38th Citizen’s Police Academy with classes beginning on March 2nd, 2015 and continuing through May 18th, 2015. Classes will be held on Monday evenings from 7:00pm until 10:00pm and one additional class on Saturday, April 18th. There will be a total of twelve weeks of instruction, including presentations of the functions and operations of the departments various investigative and administrative divisions. It is an educational and informative program that allows citizens the opportunity to learn about the issues that effect law enforcement efforts in the City of Killeen. 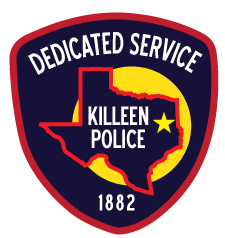 Applications will be available at the Killeen Police Department beginning Monday, January 5, 2015; the deadline for applications will be Friday, February 20, 2015, at 5:00pm. Applicants must agree to submit to a background check which includes a criminal history inquiry. There is no cost to anyone who enrolls. For more information on the Citizen’s Police Academy, contact Tammy Moseley at the Killeen Police Department by telephone at 254-501-8805 or email tmoseley@killeentexas.gov. 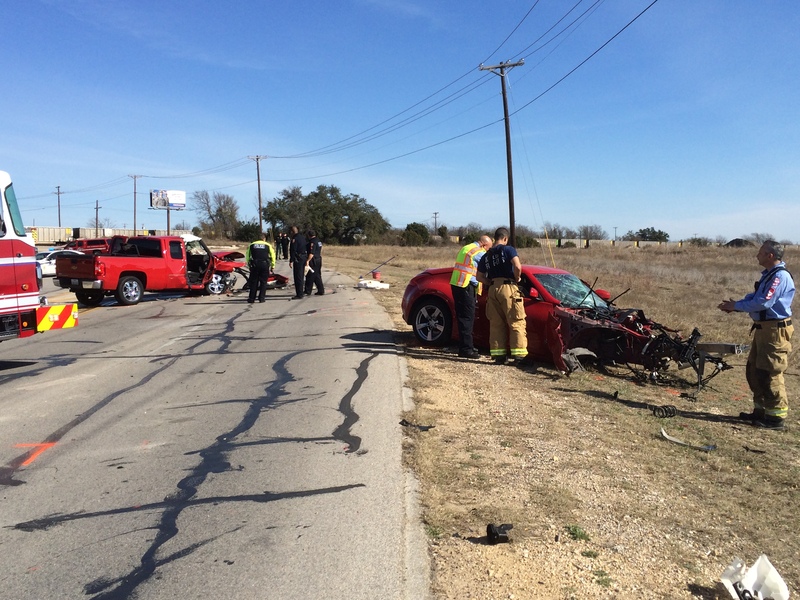 Killeen Police investigate an early afternoon crash on Twin Creek Dr. today. 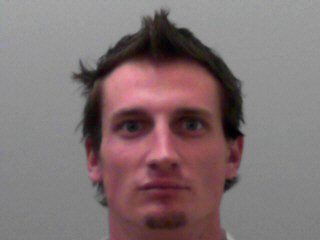 Officers responded to the 100 block of S. Twin Creek Dr. at 11:56am, on Tuesday, January 06, 2015, after receiving a 911 call. Upon the officer’s arrival they located the lone occupant of a red Nissan 370Z on the ground outside the vehicle and two injured female occupants of a red Chevy Silverado pickup. Witnesses told officers the Nissan was traveling southbound on Twin Creek near the tracks in the inside lane at a high rate of speed. The driver was unable to negotiate the curve and crossed into oncoming traffic colliding with the Chevy Silverado that was northbound in the inside lane. The front of the Nissan to include the engine and front tires came off of the vehicle and landed approximately 150 feet away in the field area. All three occupants were transported by ambulance to the Scott & White Memorial Hospital in Temple. Their names have been withheld at this time. Killeen Police arrest two men after they rob a local convenience store. Officers responded to a 911 call on Thursday, January 1, 2015 at 7:10pm, after being told the Seven Days Convenience Store located at 1408 E. Rancier had just been robbed. As officers were in route to the area they were told that a black male with a tattoo near his left eye, wearing a blue hooded jacket and a red, white and blue bandana across his face, entered the store and demanded money from the attendants. A weapon was not displayed however the suspect made reference to having one. The suspect then fled the store with an undisclosed amount of money and entered a dark colored Land Rover with a partial license plate bearing CJT5, driven by a white male adult wearing a green sweatshirt. Officers searched the immediate area but were unable to locate the vehicle at that time. 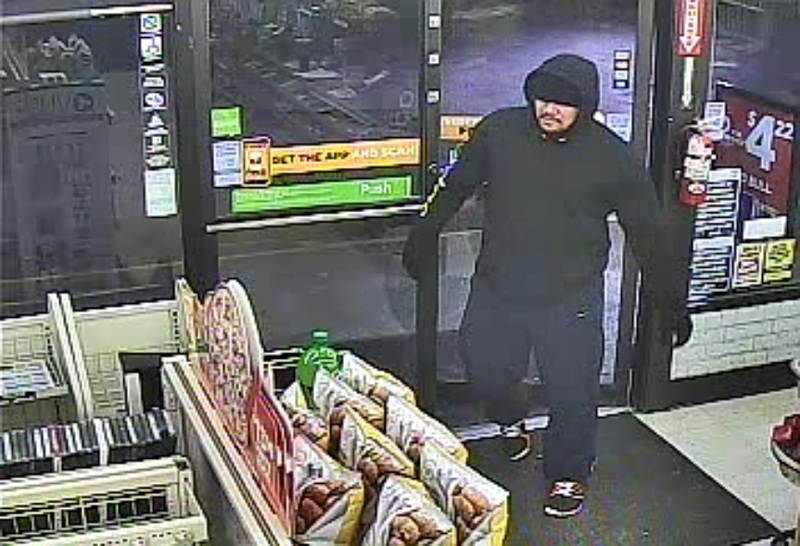 An officer who was patrolling his area shortly after the robbery, drove past a Shell gas station in the 1100 block of South Fort Hood St. and saw a dark colored Land Rover at the gas pumps, he then saw a white male wearing a green sweatshirt walking around the back of the vehicle. As the vehicle was leaving the gas station, officers stopped the vehicle with two occupants matching the description of the suspects from the recent robbery in the 1300 block of South Fort Hood St. The two male occupants were identified as those who were involved in the robbery of the Seven Days Convenience Store and taken into custody. As officers were inventorying the vehicle they also found evidence from the same robbery. 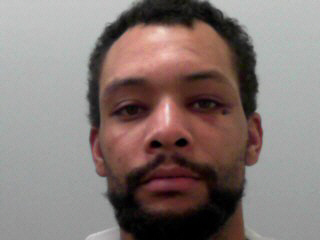 This case was reviewed by the Bell County District Attorney’s Office and a complaint was returned charging 26 year old Jeffery Jamal Smien Jr. and 30 year old Kourtney Obrian Scott with Robbery. They are currently in the Killeen City Jail awaiting arraignment on January 3, 2015.